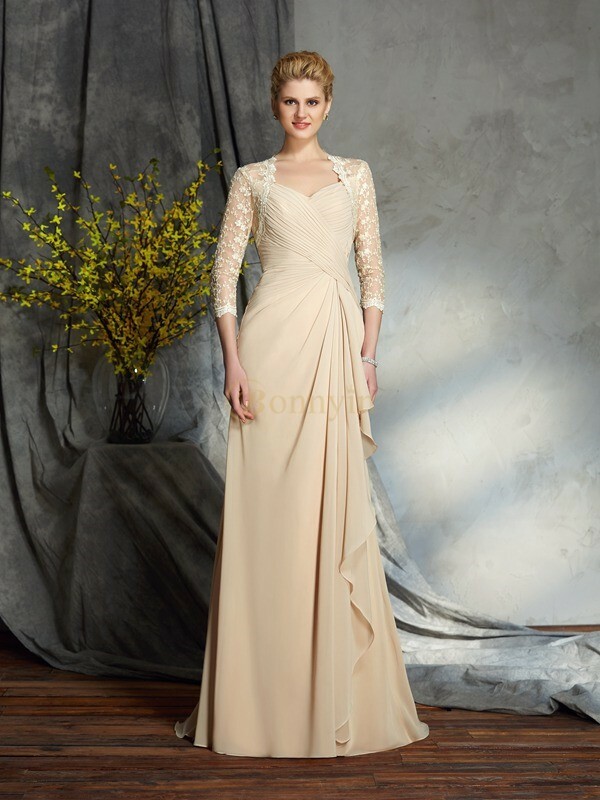 Buy Champagne Chiffon Sweetheart A-Line/Princess Sweep/Brush Train Mother of the Bride Dresses in Wedding Guest Dresses - Wedding Party Dresses at Bonnyin.ca with low price and high quality. If you are looking for something out of the ordinary then you must buy this. The material is unbelievable beautiful and it fitted me perfectly.